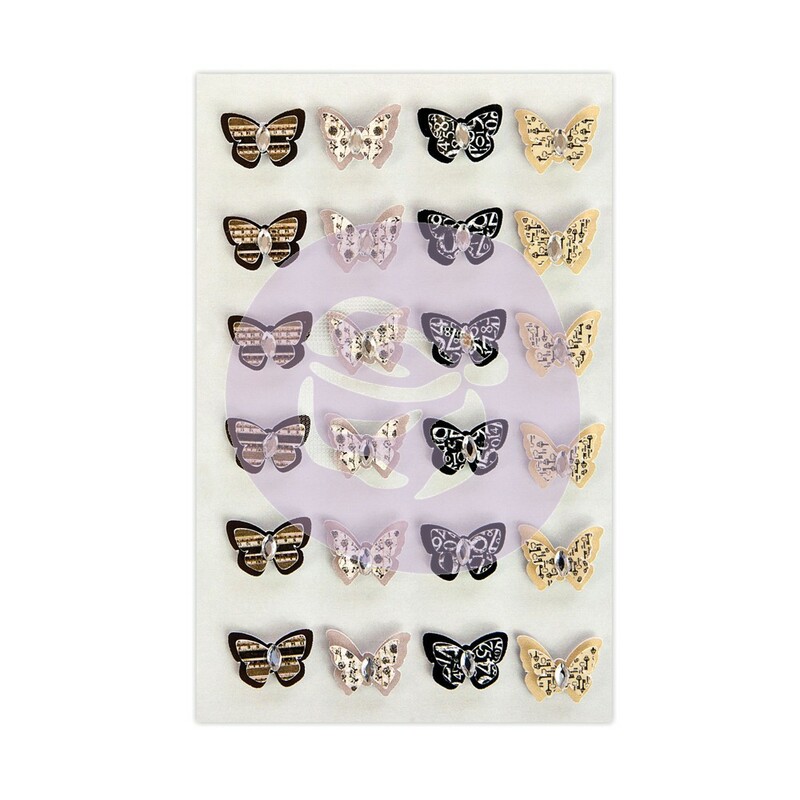 This package contains an assortment of twenty-four (24) Butterfly Pieces. Made for your Planners, however, I say why not on any of your Mini Projects, Scrapbook Layouts or cards. You'll find four (4) Patterns and six (6) of each Pattern. Product by Prima Marketing Inc.